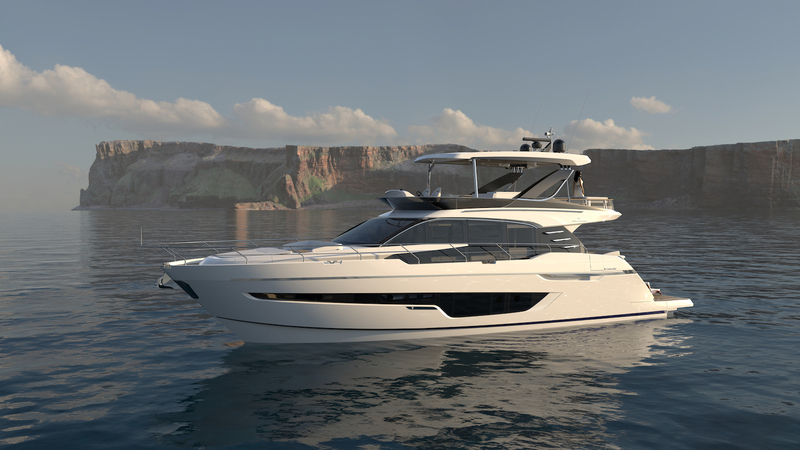 Fairline Yachts unveils the new Squadron 68 model. Luxury British boat builder, Fairline Yachts, announces details of its stunning new Squadron 68, set to debut at Cannes Yachting Festival in September this year. March 2019 saw the last ever Squadron 65 leave the Fairline Yachts Ipswich factory, making way for the all new Squadron 68, the first of which are already under construction at Fairline’s new manufacturing facility in Hythe, Southampton. Featuring the award-winning Italian design of Alberto Mancini and world-renowned engineering from Vripack, the Squadron 68 is effortlessly chic, blending luxury design and a well-considered layout with Fairline’s celebrated build quality and seakeeping ability. Initially called the Squadron 64, the new spacious flybridge model has been renamed to reflect its grand proportions. 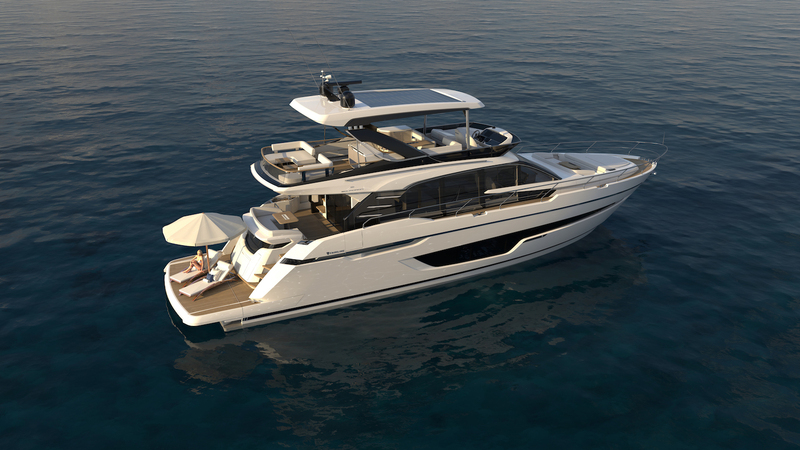 The Squadron 68 offers 12% more lower deck accommodation space, a 5% larger main deck saloon area and a 10% bigger flybridge than the outgoing Squadron 65. The addition of a 2.5ft extension to the Squadron 68’s bathing platform provides greater space for jet skis, jet tender or sun loungers, perfect for creating a beach-club style environment that closely connects you to the water. The yacht offers an expansive main deck galley as well as the newly designed option of an extended VIP forward cabin, offering the additional benefit of a vanity unit and even greater storage space. The luxurious social cruiser adds another dimension to Fairline’s established Squadron range, designed in line with the brand’s ethos that nothing should get in the way of the perfect getaway. David Tydeman, Executive Chairman at Fairline Yachts, commented, “Our Squadron range has always aimed to provide owners with the ultimate luxury escape and we’re confident the new Squadron 68 delivers this.